Welcome Picsel to the Phwoar & Peace family! "We started writing the BF second album. We wrote a lot of songs. Some great ones. We have thirteen wonderful and epic demos we are currently shaping and working on for the next full length record. It is going to be a banger. HOWEVER… By accident we also managed to write 9 songs that don’t quite fit with the BF sound. The type of songs your mum definitely won’t enjoy. They are great! So, we started a side project. It is called PICSEL." We will be releasing double A-side 'Fat & Old / Status Update' this Friday the 13th!! 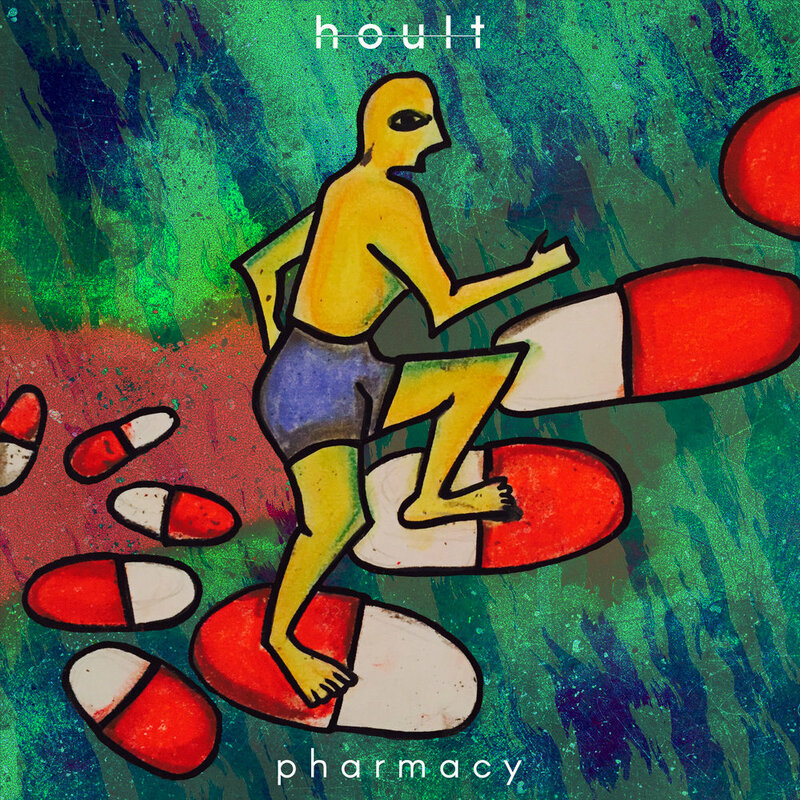 Hoult has the rare knack of sounding both dreamy and sharp at the same time. This, married with vital yet wistful song-writing, concocts his imaginative brand of guitar pop. The video for Rainbow Maniac’s ‘Going Out On My Own’ is out now on VEVO/Youtube! The video was shot and directed by Tom Rees from Cardiff band Tibet. ‘Going Out On My Own’ is taken from Rainbow Maniac’s debut RMEP1 out now on Phwoar & Peace. Available on 12" pink vinyl as well as on all digital platforms. The EP was recorded with producer Charlie Francis at Musicbox Studios in Cardiff. Charlie has worked with artists such as Future Of The Left, Sweet Baboo, Beach Fatigue and R.E.M. Charlie spent months with the band attending practices and gigs to truly know the band and understand the music so that he could best represent it during recording. Charlie chose to record Rainbow Maniac live to capture their energy. No click tracks were used and minimal overdubs. Adam Walton, BBC Radio Wales - "What is fast becoming one of my favourite tracks of 2017 so far. So much guts, energy, and vibrance crammed into 2 minutes and 54 seconds." This is it! Our first release is properly out there, in the big wide world! PAP001! There is a little delay on the vinyl so hold tight for them guys, you wont be disappointed, in the meantime you can stream on Spotify, Apple Music or whatever streaming platform you choose. If you've pre-ordered the vinyl you'll have received a download of the ep in your emails. Our first release will be Rainbow Maniac's RMEP1! It will be released May 26th on 12" pink vinyl and download as well as available on all digital platforms.